Hypergrowth is what takes place on the steep part of the growth curve. It is a dizzying, company-stretching type of growth. But in a world where tech giants and platform companies such as Facebook, Google, Alibaba and Tencent have captured the imagination, it can be hard to see the many regional and global firms that are growing at this tremendous pace. Nevertheless, beyond the global conglomerates and hyper-valued unicorns, there are businesses ranging from start-ups to stalwarts over the age of 70 that are finding ways to achieve hypergrowth. 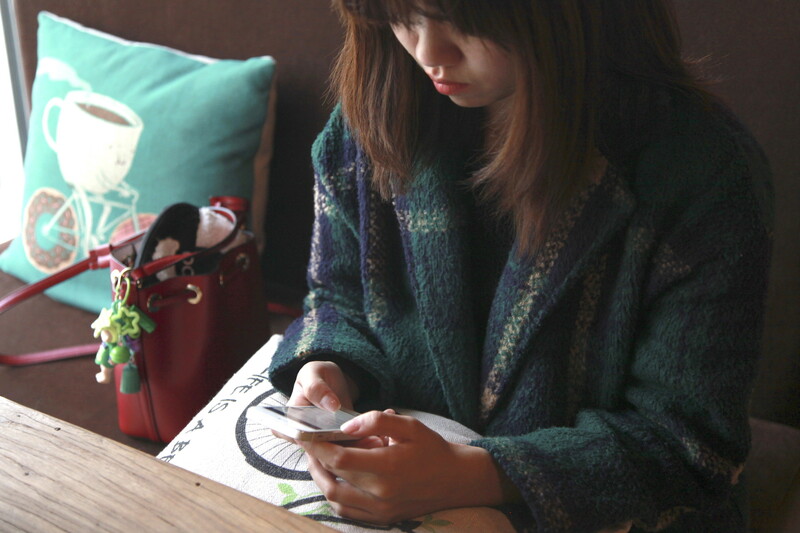 25-year-old Chinese railway worker Pang Yu looks at Ant Check, an Alibaba-linked platform. The question of what it takes to achieve hypergrowth has fascinated the business world ever since the term was first coined in the Harvard Business Review back in 2008. It has become increasingly significant during the intervening years, as the Fourth Industrial Revolution has transformed the technological foundations on which global enterprise is built. Today, businesses from all corners of the world are attaining levels of growth that astonish their more conventional peers. 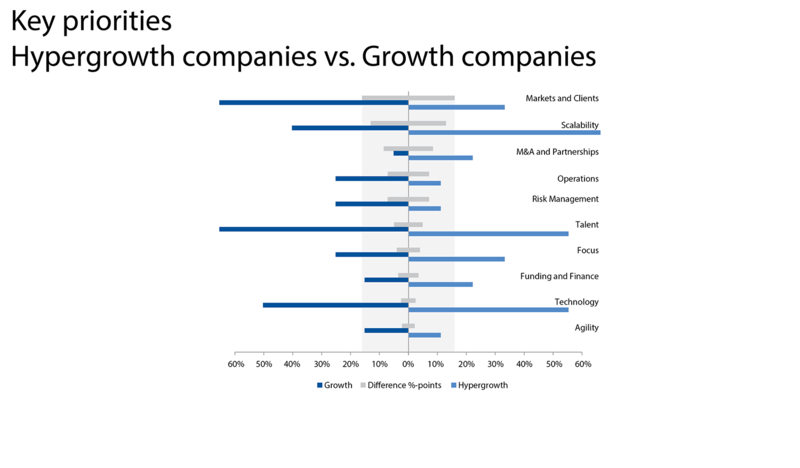 "Rapid-growth" companies are growing at an impressive compound annual growth rate (CAGR) of 20-40%, meaning they double their revenues every three to four years. But even these pacesetters trail behind the mighty ‘hypergrowth’ companies that have a CAGR greater than 40% and that double their revenues in less than two years. So, can we learn from the leaders of these businesses about what it takes to cultivate hypergrowth and turn it into a sustainable business? It seems we can. A number of market conditions have come together to give rise to hypergrowth over the past few years. These include the digital transformation of economies, more accessible (and cheaper) capital, and the emergence of new global markets such as the Asian middle class. Recognizing that there is intense interest in how these conditions enable hypergrowth, the World Economic Forum, together with its members and stakeholders, studied the hypergrowth phenomenon over a 10-month period in 2015-16. Its aim was to understand what hypergrowth can tell us about the future of enterprise and how this phenomenon will impact the world. The study, which was carried out in collaboration with EY, draws on contributions from nearly 200 companies around the world to assess key challenges facing rapidly growing companies across different regions and industries. In terms of hype, the spotlight shines on 165 tech companies on the CrunchBase Unicorn Leaderboard, a ranking of private companies with post-money valuations of $1bn or more. Between them, these 165 companies share a total valuation of $557bn. To add to this, there are over 40 more companies on CrunchBase’s Emerging Unicorn list. The common assumption holds that hypergrowth is the sole preserve of technology start-ups with millennial CEOs who grace the covers of global media publications. 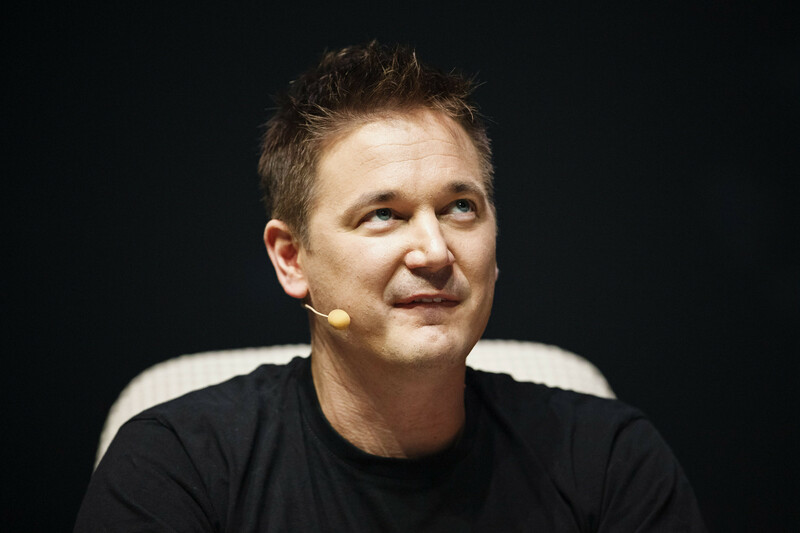 It’s fair to say, of course, that there are plenty of examples of high-growth technology start-ups – take Finnish mobile games developer Supercell, which recorded $2.3bn in revenue in 2015, just three years after launching its first product. It’s believed to be the fastest growing tech start-up ever. In fact, companies from many sectors beyond the tech start-up spotlight are succeeding in ramping revenues. While hypergrowth is associated with technology, a wide range of industries are actually benefiting from the scaling opportunities that the Fourth Industrial Revolution presents. These opportunities have come about as a result of evolving socio-economic trends and new ways of doing business. To take advantage of them, companies need to understand how developments in business models, innovation, talent management and technology will define their enterprise and industry in the future. They also need to identify new and growing markets for their products and services. Long-standing businesses and industry stalwarts are also learning to grow very rapidly, particularly if they have entered into ventures with other firms, created an independent business division or developed products and services that capitalise on specific regulatory requirements. The fastest-growing publicly listed company in the US has been around for many decades even though very few people have heard of – it is the 73-year-old generic drug maker Lannett Company. Lannett’s growth is attributable to heavier spending on healthcare, an aging population and rising prices for generic drugs. In the context of hypergrowth, it is also significant that the world is full of growing private and family businesses that are flying under the public radar as well as industries that are only just beginning their digital transformations. So, what does it take for a business to stay on the growth curve even after the curve has nearly gone vertical? We invite you to take a look at the insights gleaned from the global surveys, interviews, meetings and workshops that comprised this project, and which will be looked at in-depth in several blogs over the next month. Three key lessons emerged in our research. The first is that hypergrowth can be cultivated; it is not just the result of a lucky draw or dependent on technology or the market. The second is that the leaders of hypergrowth companies focus on decidedly different priorities from the leaders of companies with more conventional growth rates. And finally, we identified the challenges that constrain hypergrowth in different regions of the world. These will be addressed in more depth in a series of follow-up posts. According to Uschi Schreiber, Global Vice Chair for Markets at EY, "We are living in a world today where disruption is a constant force that threatens the very existence of incumbent players and long-held business models. Hypergrowth companies however are seizing this as an opportunity and leading the way in establishing new practices and ways of doing business in the market. By learning from these experiences, we can build new businesses that have the potential to realize the disruptive, innovative power of the Fourth Industrial Revolution to create new sources of wealth and better outcomes for society.